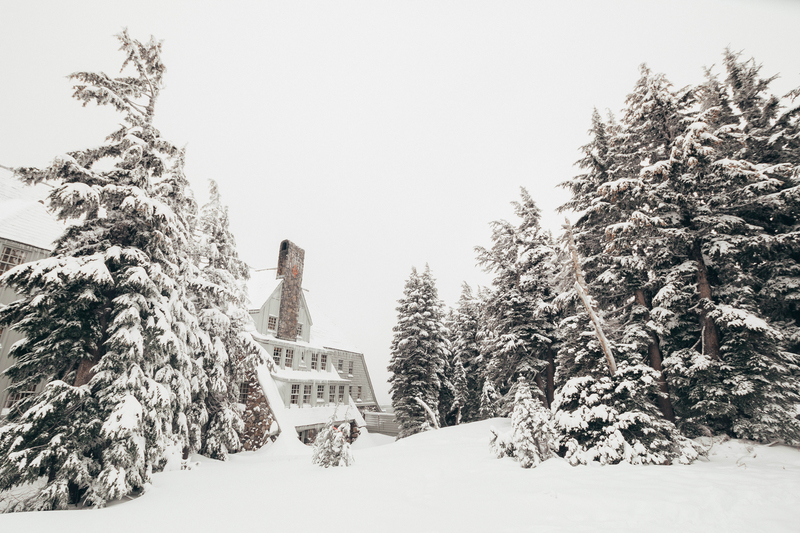 Whether you’re a powderhead or simply love the ambiance of après-ski – a trip to Mt. Hood is always a good choice. The key to having an elevated time is to dress appropriately! Now in the summer time this place is ripe and lush with flowers, fruits and more! 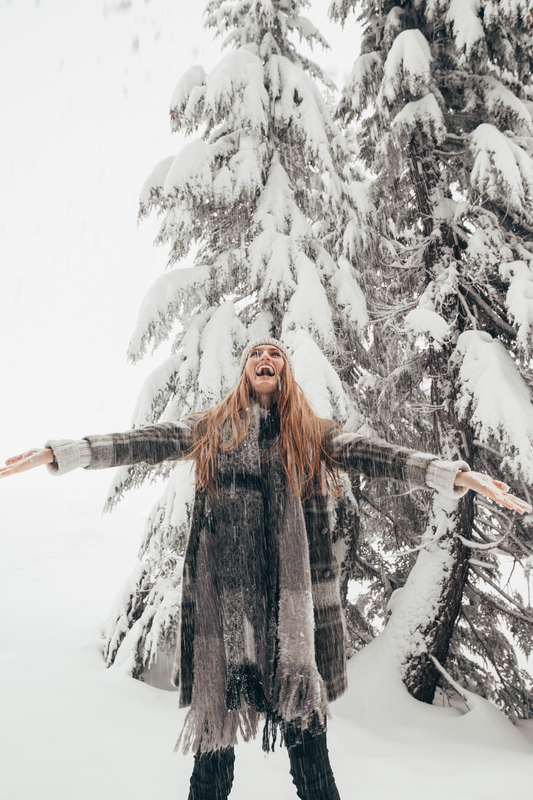 But when winter hits – it hits hard! It turns this magical rain forest into a winter wonderland. I mean, look at these trees! They look straight out of Whoville! Coat: ba&sh (similar here), Scarf: H&M (similar here, here), Bat: Banana Republic (similar here), Pants: Cheap Monday, Sweater: H&M (similar here), Boots: Indigo Rd. My entire life I grew up vacationing to ski mountains so I know a thing or two about keeping warm at high altitude. 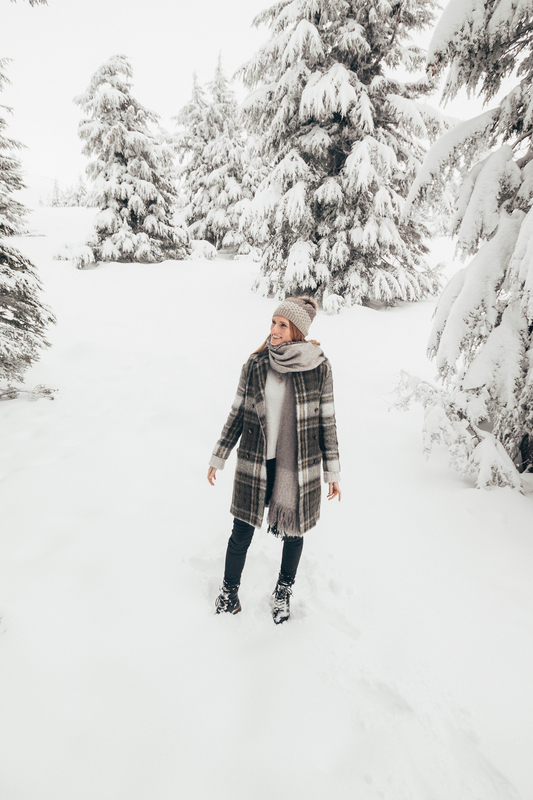 I love snowy landscapes and traveling to places that are dusted with snow. Growing up in Boston also helped my love for snow days. I remember sledding at the local park with all the other neighborhood kids on our 6th snow day of the year! Now that I live in the PNW, a 45 minute drive takes me to the Timberline Lodge at Mt. Hood. Sometimes style isn’t everything. I see so many girls brave the cold for the sake of fashion. Risking frostbite in a leather jacket and tank top as their winter style. Hmm they must be from California! I never risk my warmth or personal comfort for style. If you need to wear obnoxious layers and a big hideous coat to stay warm, then do it. Although there are soooo many options to look cute while doing so! The point is that I always value warmth before fashion. What about you? Layers are the only way to do it. Under my cozy knit sweater I am wearing a thick long sleeve shirt. I also have my plaid coat on top. 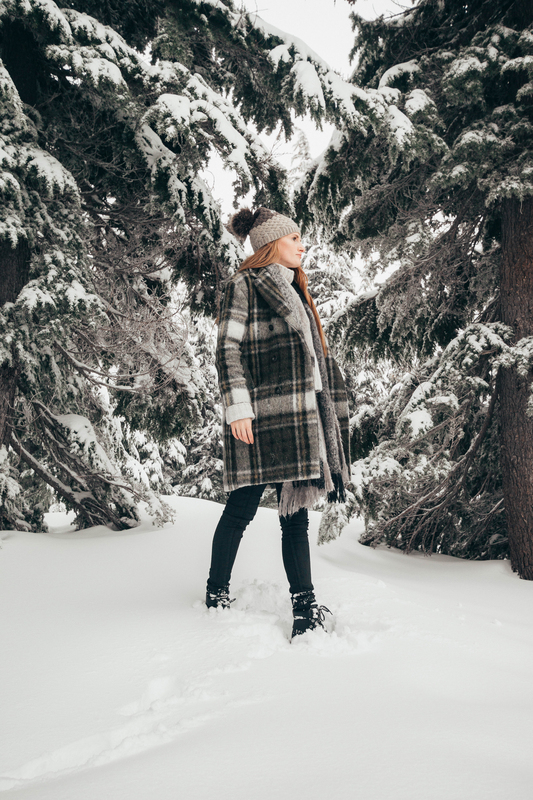 This plaid coat is the perfect thickness because it provides great warmth or winter, but also won’t be overbearingly hot when it starts be become spring. That is 3 layers to help keep my body insulated and warm! I also have thick socks on under my boots. I have my pants tucked into my socks to create a barrier from any snow getting inside – and guess what?! NONE DID! These Indigo Rd. booties are the wet-weather real deal. I highly suggest them if you have to walk through snow or rain a lot! 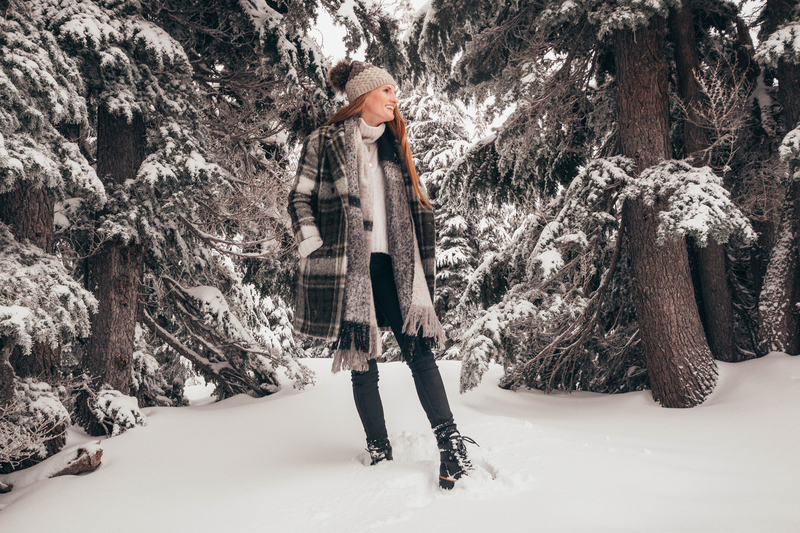 Wear accessories, they will save you from the cold. I know I’m partially following this rule because I don’t have gloves on, but hear me out! 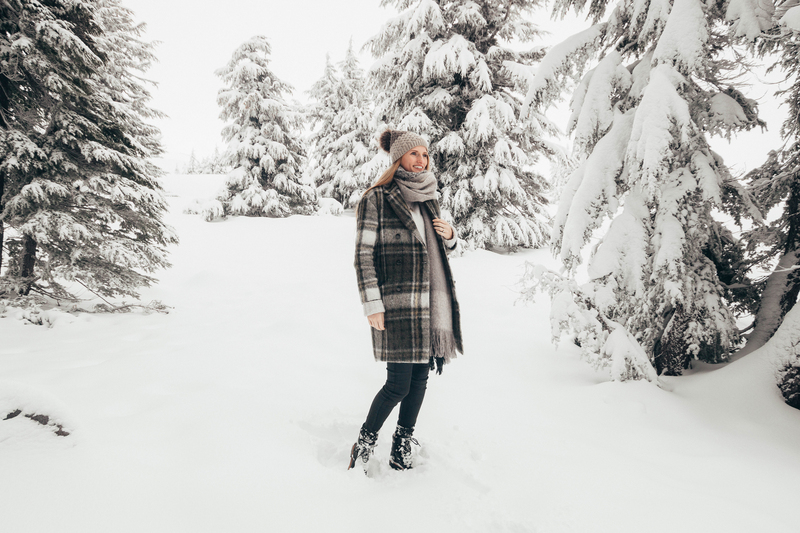 A hat, scarf and gloves can turn you from an icicle to a functioning person. 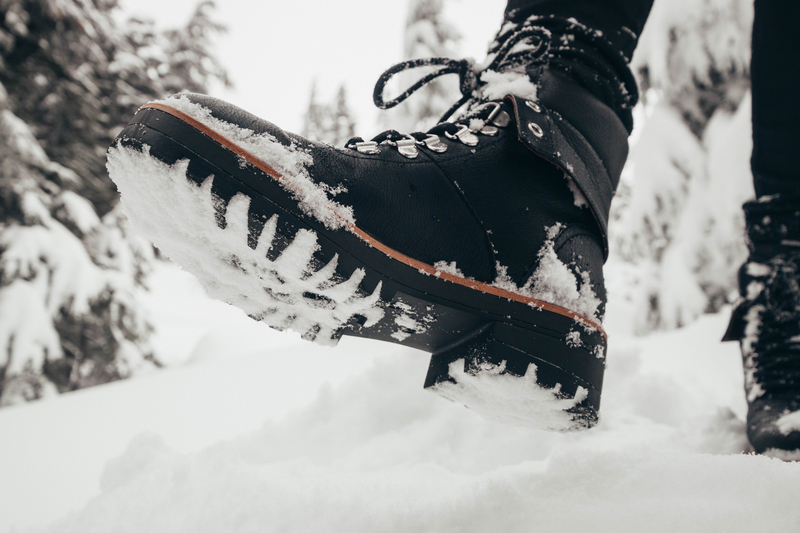 It is essential to have accessories when dealing with snow – especially gloves. 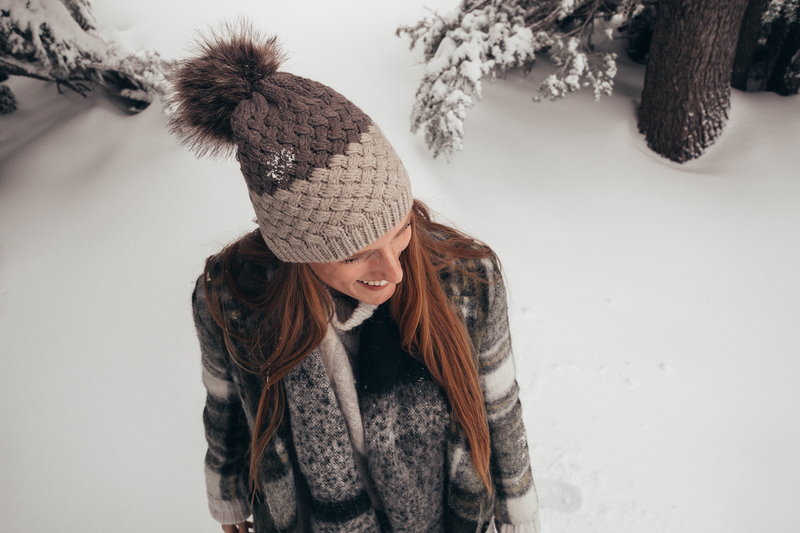 Hats keep our heads and ears warm, and scarves can add so much warmth it’s like wearing another layer. 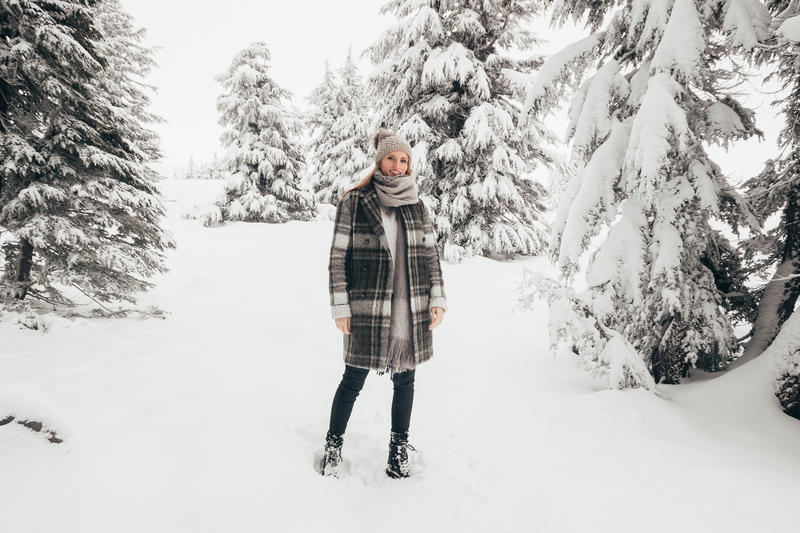 I love my thick blanket scarf, it kept me so warm this trip into the snowy woods! Hope you all get to have a magical snowy adventure this year! If you’re planning one let me know where you are headed. Scott and I are actually thinking about buying a house in the Mt. Hood area. I mean it’s absolutely gorgeous and we both love to ski.. so why not?! This looks so beautiful! A true winter wonderland and I loveeee the boots. This looks like a winter wonderland! Love your coat! What fun pictures! Hope you had an amazing trip! That snow is amazing! Love your outfit too! This place is pretty spectacular! Over here dreading snow in Chicago, but loving it there! 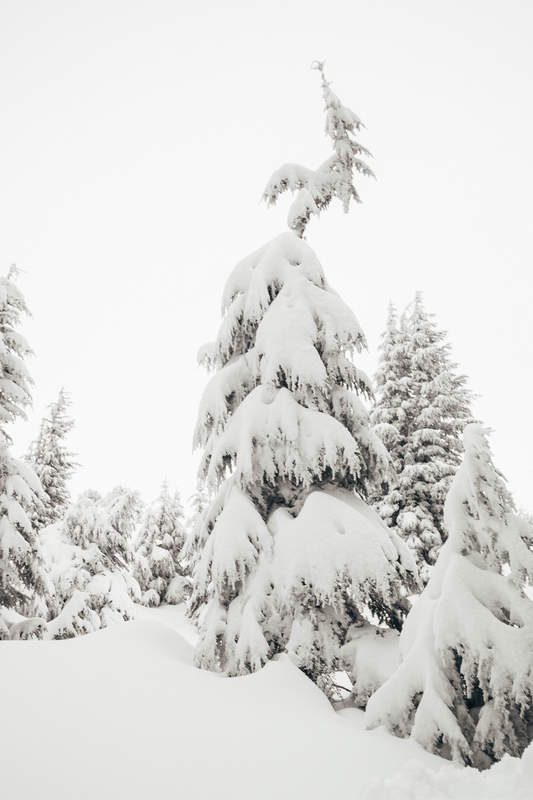 it must be all the amazing snow-covered trees and just how picturesque it all looks! Also, this outfit is too cute! Such a pretty place! I am in love with those boots! That’s so cool that the Shining was filmed there, I can totally see the scene outside of the hotel and it gave me the chills! Magical Winter wonderland! Beautiful pictures! 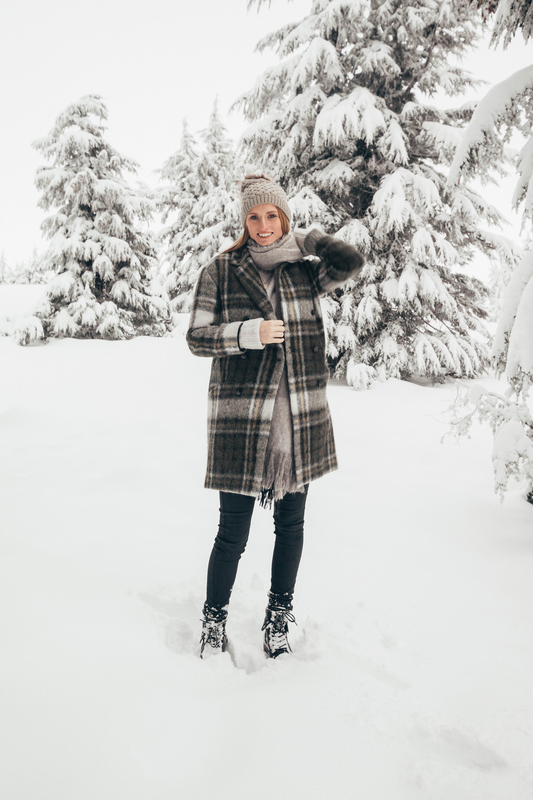 First off your coat is fabulous and I am loving this winter wonderland!! Secondly, your outfit just screams comfy and cozy and is still super stylish!